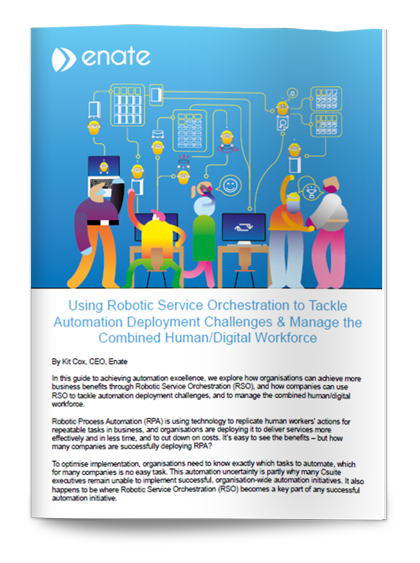 In this short guide, we explore how service orchestration can transform your business by orchestrating work so you can get digital faster and scale RPA through a hybrid workforce. Learn about the core modules of the Enate product, designed for different roles within your organisation. 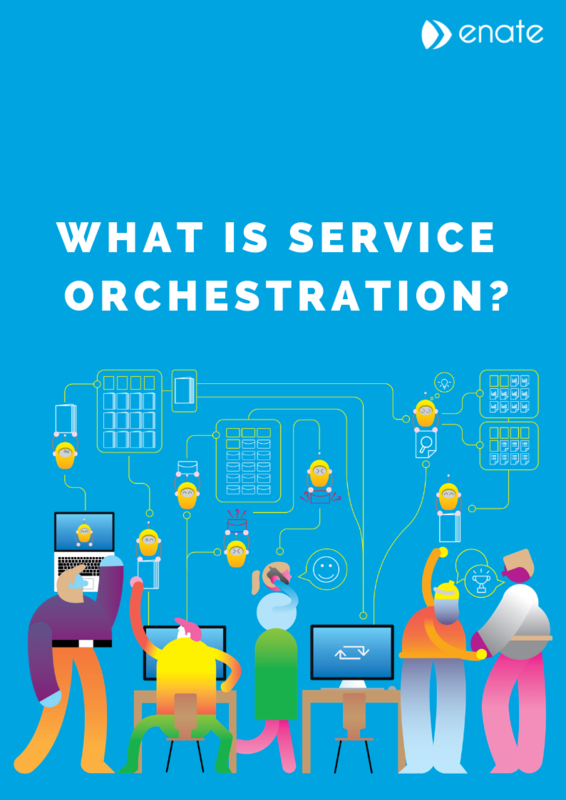 In this guide, we explore how to balance automation and orchestration in your organisation, to deliver more than the sum of their parts. Plus how, by embracing both, companies are able to deliver more bots, at greater speed, and with less risk. 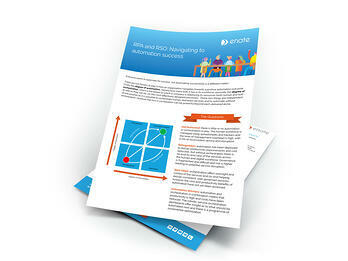 In this case study, find out how Enate RSO delivered an 80% reduction in internal processing time, (within six months of go-live, after a five-week implementation project), amongst other significant customer facing improvements. In this guide, we explore how organisations can achieve more business benefits through RSO, and how companies can use RSO to tackle automation deployment, and to manage the combined human/digital workforce. 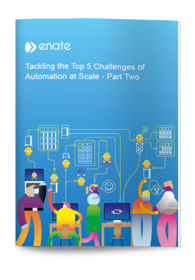 The first part of our free whitepaper covers 2 of the 5 of the most common automation challenges, including what should companies automate and when, and how companies can achieve governance, insight and control. 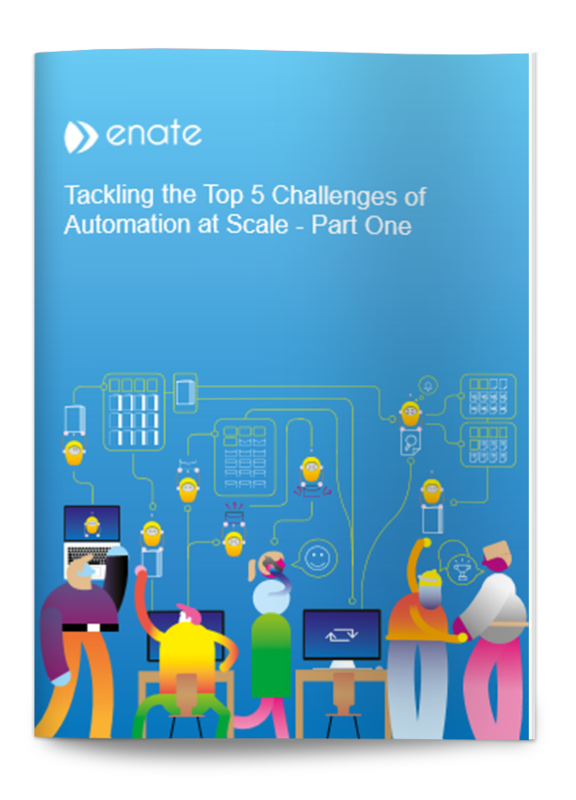 The second part of our free whitepaper covers the final 3 most common automation challenges, including open vs closed ecosystems, ROI & resource, and small process automations vs 'big ticket' transformation.